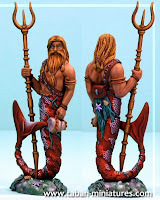 Nautican models - a possible Lobstrosity miniature ? I thought this was a potential candidate for a lobstrosity. Also, I understand that a new "Queen" version is coming out next year which might make for a Grandimanus (the champion of a lobstrosity unit) although I have not seen the new model yet. I need to get exact measurements because I think it's a 30mm figure (but that ahould be close enough). Edit: Hydraminiatures informed me the dimensions of the model are as follows:- "... 47mm tall from the bottom of the cast-on base to the top of the carapace. It will fit well on a 40mm square base." 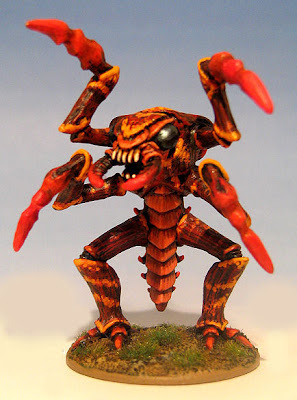 I might have to rethink the Lobstrosity rules/profile if we go with this model because they are meant to be on 25x25mm bases. I do like the model though because it's the most appropriate one I have found so far.